At the event itself, Peter Zimmermann, the Master of Whiskey of Bushmills guided us through some of the best Irish Whiskey I've had. From the blended Original through to the 21 Year Old Single Malt, every offering from Bushmills reflects the care and quality you'd expect from one of the oldest names in spirits. Personally, I'm partial to the Bushmills 16 Year Old Single Malt, an amazing malt whiskey aged for 16 years in sherry and bourbon seasoned casks before being matured for a final several months in port wine barrels; the result is pretty incredible and very unique. After trying each of Bushmills' whiskeys, we joined the main event and had a fun time drinking Bushmills cocktails (I was a big fan of the Bushmills Old Fashioned) and hanging out with friendly, inspiring people including Zimmermann, as well as the founders of Bodega: Jay Gordon, Dan Natola and Oliver Mak. 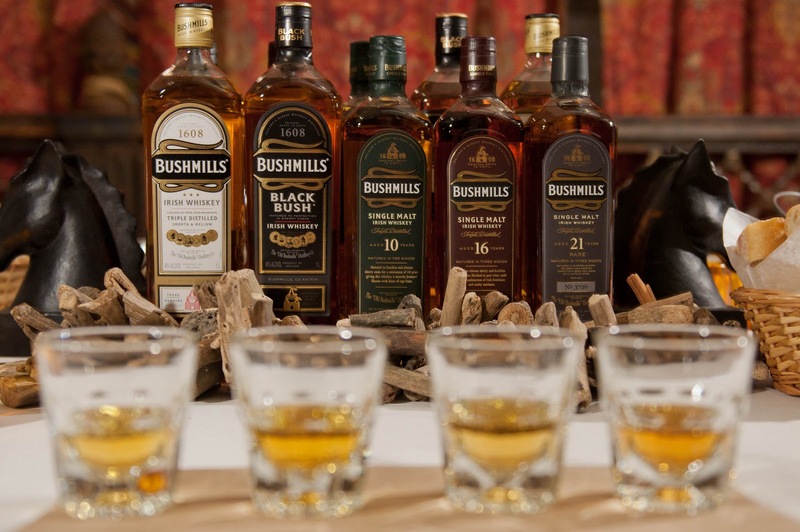 Next time you're at a bar looking for a great whiskey to relax over, Bushmills is definitely worth trying out. 0 Response to "Bushmills & Bodega"